How do you decide when to crop an image? While we're photographing, we think through our intended composition. For the most part, the image is proportioned correctly at the time it's shot, and doesn't require cropping. However, when we're doing formal pictures, we'll leave a little extra room on the right and left side. This is because when you do an 8x10 picture, it will crop the image. We want to leave non-essential image areas on the sides so that the people don't get cropped out. How do you choose your preferred vendors on www.truephotography.com? Our preferred vendors section on www.truephotography.com is truly representative of the vendors we work with frequently, and who we trust highly. Because every event on our main site is tagged, we are constantly aware of which vendors we work with most often. Work with our studio for a minimum of two years. Each time we work an event with vendor, the more visibility we give them throughout our site. In order to be considered for our preferred list, vendors must first meet all of these parameters. Then, out of the vendors who qualify, the ones that actively promote and refer our studio the most will be the ones listed. That way, we can continue working closely with vendors who have contributed to the success of past events. How do we begin the album process after we've gotten our wedding photographs? How do I log into shop.truephotography.com to view my photos? Typically, when your event is ready to be viewed, we provide you with an Event Code via email. This Event Code lets you view and enjoy your online gallery, and browse and order digital images, prints, books and albums. Assuming you were provided with an Event Code, please visit http://shop.truephotography.com On the home page, where it says 'Find My Photos', please ensure you enter the Event Code provided and not an email address or any other password. If your Event Code is correct and active, you will now be able to browse the photos for your event. You are welcome to share this event code with friends and family, so they may also view and enjoy your photos, and order prints and digital files if desired. If you were provided with an Account, or would like to set one up, click the Account Login link in the upper left corner of the website. This is where you will enter your email address and password. If you have earned credit through your registry or other means, the credit will only be available when logged into your Account. Unlike your Event Code, you will want to keep your Account private (do not share), since it will eventually contain purchase history and other personal info. After you are logged in, if you have credit in your account, you will be able to see this by clicking on My Account. Any active credit shown will be available to use upon checkout, and may be applied towards any purchase. If we set up your account as a courtesy, and notified you via email, please ensure you are logging in with the account the email was sent to. If it has been several months since your event, your online gallery is likely expired. Please contact us to reactivate, if possible. If your event was prior to 2016, please contact us. If you are a guest and are trying to access a specific event, please contact the individual or couple directly to request the Event Code. How do I ensure my photographer is able to park at my chosen venue / location? How do I download my photos from the shopping cart? Please find downloading walkthroughs below. 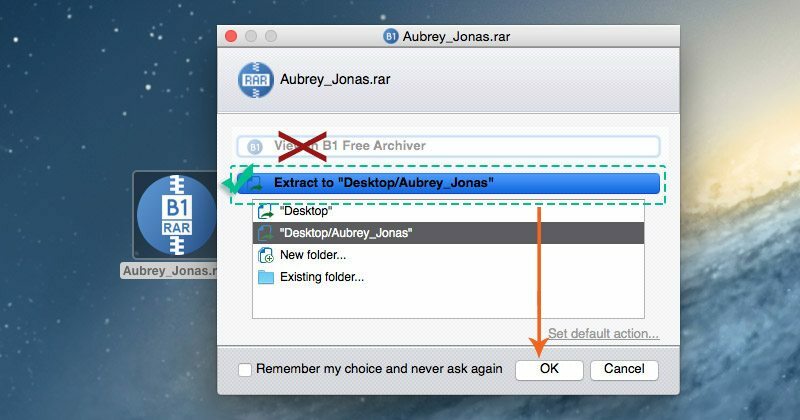 3) Once saved, these Zip files can be opened by Mac or PC with no special software needed. Note: your Mac may automatically open the file for you in your chosen download location. 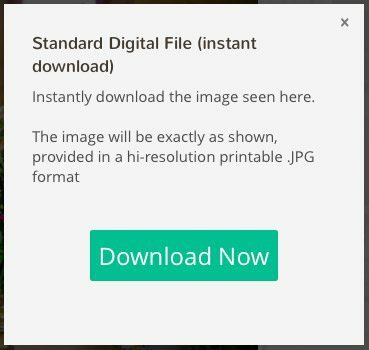 If you would like to continue downloading photos, go to the next gallery and repeat the process. 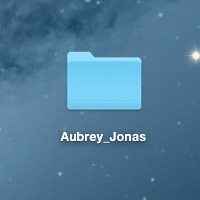 After all your downloads are complete, you can organize them as you'd like on your computer, create extra backups, etc. Because the images are hi-resolution printable JPGs, we recommend saving to a computer, as opposed to a phone. 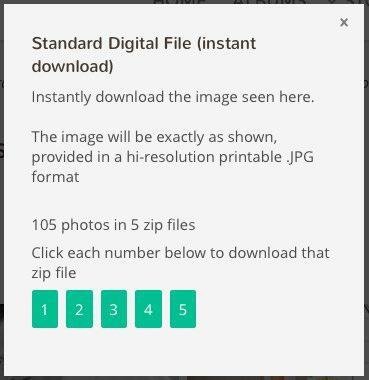 If you plan to download many photos, our suggestion is to use the Batch method (detailed above), which will save time, as opposed to downloading individually. After you download your images, we strongly suggest copying them to additional computers, which will give you emergency backups. Once you have possession of your files, you will want to ensure you have secure and reliable long-term storage, so you can enjoy them for years to come. If you would like the safety net of additional backups, and would like to extend your shopping cart/archive expiration beyond the courtesy period, please click here. If you would like to order a commemorative Flash Drive containing all images, in addition to the download, please click here. The Free Download feature is included in your account only, not others who you share your event code with. To purchase the Free Downloads feature for friends and family, so they can also download your standard digital files for free, please click here. The Free Downloads feature will remain in your shopping cart account as long as your account is active. To extend your expiration beyond the courtesy period, please click here. Photographers Favorites: Anywhere you see a Photographers Favorite, you are welcome to order prints. However, we strongly encourage you to not order the digital file (standard or Premium) of any Photographers Favorite, as these have already been meticulously enhanced and can be downloaded for free in their enhanced state. Orders are automatically processed, so if your order includes one or more Photographers Favorite files, it will be fulfilled as ordered and cannot be refunded. All other photos: If ordering prints through our studio, we recommend adding the Premium Enhancement for the best print quality. If you plan to print specific photos on your own, or have special enhancement requests, our recommendation is to order the Premium Digital File version of these images Once ordered, these files will be given an extra round of retouch/enhancement, and you will be notified when they are ready. Why is the download split into smaller batches instead of downloading all at once? The smaller downloads (zip files) help the downloads transfer better across the web, and gives you more control over what you are downloading. For example, if you only wanted the Favorites, or a few images, you can download the specific images you want most. How much space should I have on my computer for downloads? If you decide to download everything, the total downloads will be very large, so you will want to ensure you have room on your computer or external drive (at least 50 GB of free space). How long will each download take? Each download may take a minute or more, depending on your Internet connection. Can I order both an Enhanced Print and a Premium Digital File of the same image? Absolutely! If you love an image and would like both a print and the digital file, these may each be ordered on the Shopping Cart. Each method (Enhanced Print and Premium Digital File) will be produced with the very best quality. How do I download my finished images once they are ready? Our free image download solution works across all platforms (ex: Mac, PC). By following these instructions, you will be able to download your entire event all at once. When your images are ready, you'll receive an email from us containing a link to a free download. Clicking the link should open a web browser on your computer, and a window asking where you want to save the file. Choose the default download location (such as your Desktop or Downloads folder) or else select a custom save location if preferred, such as an external storage drive. The download file will be very large, so you will want to ensure you have room on your computer or external drive (at least 50 GB of free space). Go ahead and download the file. Depending on your Internet connection speed, the download may take several hours, so we suggest downloading overnight. In case your download gets interrupted before it finishes, try setting your Mac or PC's sleep timeout to "never" for the duration of the transfer. Also, check to see if you are able to resume the download before starting over. Many browsers have a 'resume' feature where you can continue downloading right where you left off. Web transfers of large files like these have gotten faster and more stable in recent years. However, Internet connections and speeds are all unique and can vary from one moment to the next. If you encounter issues where the file won't download properly, please contact our studio. There are several ways of successfully opening the file. We're going to walk you through one method. Double-click the file, then when the menu comes up choose Extract (instead of the default View in B1 Free Archiver option). Press OK, and the files will be saved to your desktop or chosen location. Because the download link is only available short term, we strongly suggest copying this downloaded folder to additional computers, which will give you emergency backups. If you are short on memory space, you can now trash the original .rar download file, or archive it also as an extra backup. Now that you have possession of your files, you will want to ensure you have secure and reliable long-term storage, so you can enjoy them for years to come. If you run into issues downloading to an external location, such as another hard drive, try downloading and open the file directly on your computer. Before you open the file, try moving the RAR to your computer's desktop if (it's not there already). That way, you can easily find the expanded folder on your desktop when it finishes. If you are opening the file on your computer, you'll want to ensure there is sufficient space, as it is a large file. On a Mac, if you right click your hard drive, and click Get Info, it will list the available space. To ensure there is plenty of room, we suggest having a very minimum of 20 - 30 GB available. If not, you may want to delete some other large files that are no longer needed, or open the file on another computer if possible. To open the file, we typically recommend B1 as a first option because it's free, simple and Mac/PC compatible. However, there many other programs that can open .RAR files. It's possible you may even already have a different compatible program on your computer. 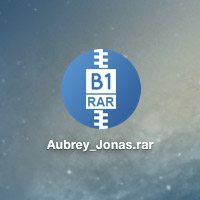 Try right clicking (or control-clicking) the RAR file, check and see if there are any options under "Open With" aside from B1 that can open the file. If not, there are alternative programs such as http://www.zipeg.com for Windows and http://www.unrarx.com and http://www.zipeg.com, all of which say they are free and RAR compatible. Do your photographers have the same style? The short answer is yes, we all share a signature style that is unique to True Photography. When you hire our studio, you are hiring a brand, and with a solid brand comes consistency and reliability in the end product. All photographers on our team produce images with a similar aesthetic, and continuously amazing results. We keep our team small and tight-knit on purpose so that our company can remain very personable, with a high caliber of work. They are well-balanced shooters. All of our photographers are seasoned professionals, with extensive training. Instead of having one photographer that is documentary style, one that is a portrait photographer, one that does candids, and another that has more of a fashion approach, our photographers are true specialists in all areas. They each have the technical knowledge to shoot great images in any lighting condition. We always work with the natural light that exists so that the images look true to life. However, there are situations where light must be created to produce the most dynamic and flattering image. Our photographers know how to use natural light to its best advantage, and when to use expert techniques for creating light when circumstances demand it. Each person has that indescribable "it factor" that makes them a unique and exciting individual, in addition to a talented photographer. Everyone on our team has a great, fun personality. We are unobtrusive throughout the event, and vocal when it is time to give direction. We make the photography an enjoyable and memorable part of the event for the guests and couple. We have incredibly high standards when it comes to our photographers. It takes a very special and talented person to be a True Photographer :) The consistency that you see is the result of a team effort and a lot of work! Our photographers shoot only one wedding per day, so that we can put all of our energy and focus into that event. Because we do not overbook ourselves, we can concentrate on producing the very best images. We will also be available if you should need more unexpected time on the wedding day. Do you provide us with the raw images you shoot on our wedding day? 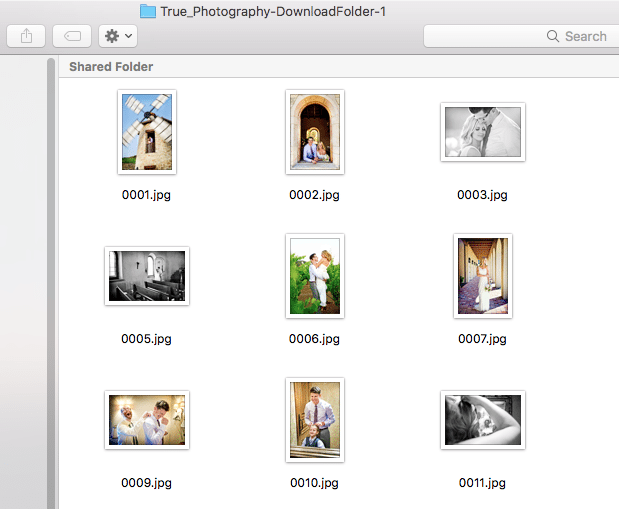 Rather than providing the raw files, which are not printable, we provide you with all of the images of your wedding day as high resolution JPEGs. That way, your images are viewable and printable everywhere. Do you provide the digital files and/or negatives (or copies of the negatives) to me? As part of our wedding packages, you are provided with all of your images in full resolution, without our watermark. This allows you to print images wherever and whenever you please, without limitation. As soon as your files are ready, we will contact you with download instructions, and a step-by-step walkthrough. Our free online system enables you to download all images at once, and is recommended to most clients. We guarantee that your images will be ready for direct download within 26 business days of your wedding. In select cases where direct download is not feasible, a Flash drive will be prepared and mailed out upon request. Do you provide props for engagement photo shoots? Although staged props are popular right now, our preference is to create moments with found objects, and make use of our surroundings. For example, if we are photographing in an open field, and there are pinecones on the ground, we will get creative with the pinecones. Maybe we'll try an image of juggling the pinecones, for a fun, whimsical photo. Or we'll shoot from a low angle, so that the pinecones are sharp in the foreground, with the couple blurred off kissing in the background. These "environment props" make for spontaneous moments and stronger images because they force the photographer to be much more creative, and to approach each shoot from a new perspective. If you are interested in bringing along a couple of props, we suggest items that have a personal meaning, and are representative of the two of you. This will ensure that your shoot is centered on your personality as a couple, and that your your images remain timeless over the years. Do you prefer to photograph on film or digital? Because we are going through each image, and enhancing the images through the computer, it makes sense to photograph in the digital format. It gives us more flexibility to easily convert the images from black and white to color and vice versa. If we were to photograph in film, we would then need to scan every image in order to do the enhancement. The scanned image quality would go down one generation, and would not be as good. We want the images to be the cleanest they can be, at highest resolution possible. Our cameras are geared to handle very low light situations, and can capture clear images even under challenging conditions.The images we shoot can be enlarged well over 24x36 while still looking perfectly sharp. Do you photograph everything in color? Everything is photographed in color, initially. During our enhancing process, we select specific images that will have impact in black and white, and we convert them. We put time and effort into both color and black/white enhancement, and do specific treatments on the images for each method to ensure they look their best. When you see your finished images, the majority will be in vibrant color. Do you offer video? Is video included in your package? We understand that photography and video often get paired together, as they are both visual mediums. We have always had the philosophy that it is best to specialize and master one specific craft. By focusing our energy on photography, we have been able to produce top level images to our clients. Having said that, we also understand the convenience of booking both photography and video at the same time. So, our studio has found the perfect solution, and now offer video in a unique fashion. In order to better serve our clients, we have collaborated with a few hand-picked teams that have always done an amazing job and also have super happy clients. They know how we work and we know how they work, ensuring everything is streamlined and smooth. You are now able to contract the videography straight through our studio, and all under one contract and bill. As a result you get the benefits of two vendors who specialize in their craft, while having the convenience and savings of booking them together. Just let us know which videos you connect with and we will take care of the rest for you! Included in the video packages are two high-definition cameras (same hours as photography), a 3-5 minute Produced Highlights Video, and additional un-produced coverage from throughout the wedding day. The Highlights Video is the perfect length for frequent rewatching and social sharing, and the additional coverage gives you all of the footage from throughout the day for your archives. Pricing will range from $2500-$4000 depending on the videographer, number of hours, number of videographers, drone work, etc. Please contact us at 760.271.4853 and we are happy to go over the best video options for you. We do offer payment plans. 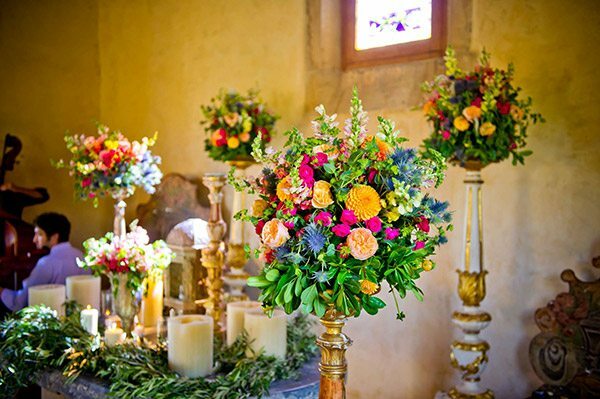 Having gone through the wedding experience ourselves, we understand the financial demands involved in planning a wedding. In efforts to make life easier, we allow our clients to make monthly payments up until the wedding day, if needed. As long as there is a set structure in place, we are very flexible! Do you offer albums with your packages? Are albums included? We offer beautiful craftsman-quality albums. We feel it is best to choose the album after you see all of your images. It becomes much easier to select the style, size and number of images once you actually have pictures to look at :) Therefore, we keep album-related decisions and purchases separate from the initial main package. On average, a nice wedding album starts at around $1200. There are books that run higher and lower, depending on the style you are after. When the time comes to order your album, we will provide suggestions and options that work at different budget levels. We understand and respect that there are studios that offer albums within their package. We offer quality over quantity. We are focused initially on putting your investment towards producing the top level of quality in the photography. We never cut corners there. When you hire our company for your wedding, you are hiring an entire team of experts. We put in time to research your venue and think of creative, innovative ideas. With two-photographer packages, both shooters are of equal caliber, rather than a first shooter and an assistant holding a camera. In post-production, everything is done by hand, in-house. Each step we take is to make sure that the images are perfect and the process is seamless. We believe investing in the talent is much more powerful to have in the long run. You have the ability to get an album anytime in the future, but the pictures are typically either good or bad, you love them or you don't...there isn't usually a middle ground. We make sure they're amazing! For more information regarding our wedding albums, please click here. Do you like to have a shot list provided by the wedding couple for the formal family photos? A list is good for piece of mind, and can help you determine who you want included in the photos. It is much better to figure this out beforehand than at the wedding itself. So if a list helps to accomplish this, we are all for it :) For us, rather than a shot-by-shot guide, it is most important that every person you would like included in the formals to be on time, present and ready to be photographed. One tip to be successful is to designate a family member or two on each side of the family, and put then in charge of your formal photo participants. Give them your list and ask them to keep everyone in a designated area, so no one leaves to go to cocktail hour. You can also have your officiant make a similar announcement at the conclusion of the ceremony. The reason for keeping everyone in one spot is because if one person leaves for any reason, we will be spending valuable shooting time trying to track them down, rather than using the time most effectively. Once we have everyone, our typical approach is to start with one side of the family. We organize this large group together and take a few pictures. Then, if there are cousins present, we will ask them to exit the image. This leaves the immediate family alongside any aunts, uncles and grandparents. We take another few pictures, and then ask extended family to exit the setup. By narrowing down the participants like this, it enables guests to enjoy the cocktail hour as soon as they are finished. After we photograph the immediate family, we take individual photos of each of the immediate family members with the couple, adding in any grandparents and children. We repeat this process with the other side of the family, and photograph until the entire group is well covered. If there are specific formals that you would like captured outside of this process, (ex: an aunt and cousin photographed together), you will want to give us a heads up, so we can be prepared. Also, it’s helpful if we understand the family dynamic before the wedding, like who the couples are, or any other scenarios unique to your family. Please also let us know if there is a certain group of friends to make sure to photograph together. Sometimes, couples will say, “We will just get ‘so and so’ together later at the reception,” but we always suggest not to rely on later. Meaning that there is no later – there will be lots of other exciting events throughout the day, and anything postponed will probably take a back seat. If there is a family shot that is very important to you, it should take place within the designated time, with everyone ready and on standby. Many venues require up to a million dollars of Liability Insurance. Our studio is completely insured. From Liability to insuring all of our gear. ﻿Yes. We are very experienced in every lighting situation. It is easy to get a collection of nice pictures over time when photographed under the perfect light, with the perfect background, at the perfect moment. But what will define a professional is when conditions are less than perfect. It is very important as a professional photographer to capture amazing photographs under any condition. For example, we are trained to shoot when it is dark out, when it is raining, when daylight is fading, etc. We think of any unexpected situation as an opportunity for a great photograph. If it is raining, then we can get a great image with an umbrella, or get creative with the reflections off of the wet ground. If it is dark out, then we can incorporate lighting quickly, and create a more moody photograph. We are always prepared for a variety of lighting conditions.